Last Halloween, I didn’t have anything festive to wear for the school’s Halloween bake sale and dance. We had foam Halloween themed stickers everywhere from various art projects. I also had a couple of sectioning clips laying around. I quickly grabbed some glue and put something together. It turned out much better than I anticipated and my girls were fighting over who was going to wear it. When I was going through my Halloween stickers to pull out for crafts, I stumbled upon the clip I made last year. My girls saw it and immediately asked to have a clip making play date with friends. I went to the local hair supply store and purchased more clips. I found an 80 pack, because we can make clips for all the other upcoming Holidays with the leftovers. You can also make a bunch to give to friends or hand out as an allergy friendly treat alternative. My older daughter had a clip making play date yesterday. Today we continued the fun and made more- the perfect activity for the cold and rainy day we had. Here is how to make them (you can find most of the supplies at Michaels if you don’t already have them). Creatology foam stickers and any other halloween stickers you may have. Glue on any additional stickers or designs you would like. Use a paint brush and add some glitter glue for some extra shine. Let dry then show off your Halloween Hair. For a little extra, we hung our clip designs on the Creatology Halloween Boo sign we made (pictured above). When it comes to creativity, my girls have no limit. 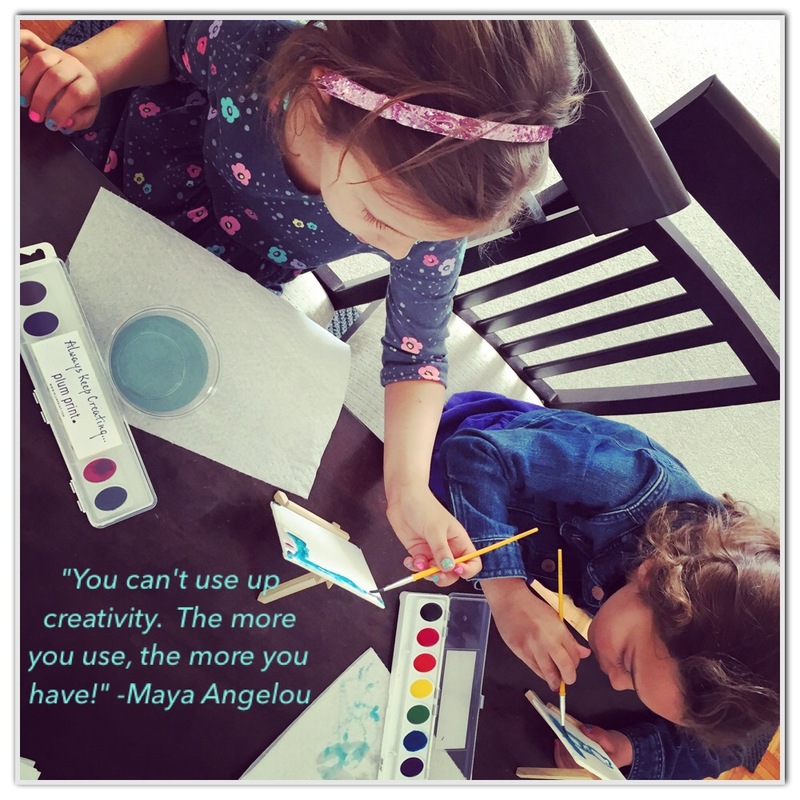 I love that their creative minds are always hard at work whether they are using a pen and blank piece of paper, building “castles” with recycled materials, or painting whatever comes to mind on a blank canvas. I enjoy watching them. It’s beautiful but the artwork piles up in almost every corner, on the windowsills , and on the tables in our apartment. Last year, I started going through it all and took a lot of photos of various projects telling myself I would create a book. A year later, those photos are still on the memory disk. Balancing busy schedules, makes finding the time to put them into a book challenging. 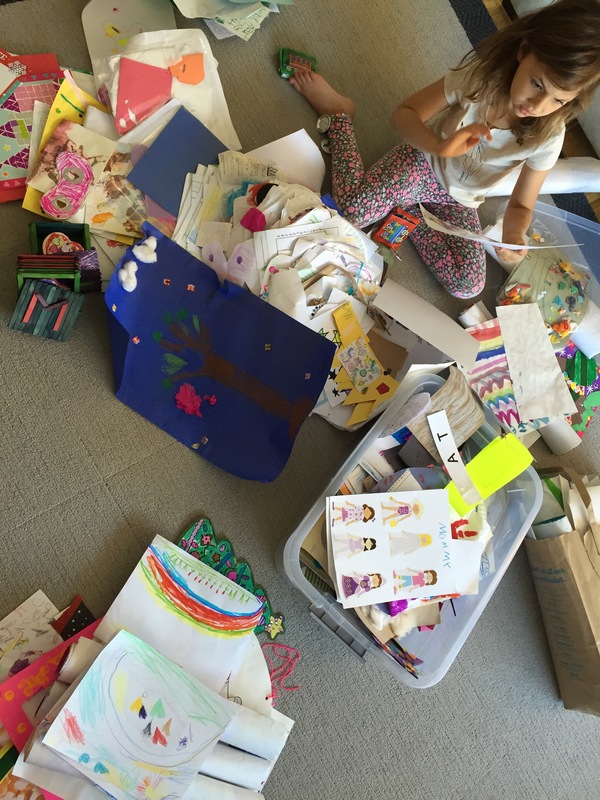 Sorting through all of the artwork! 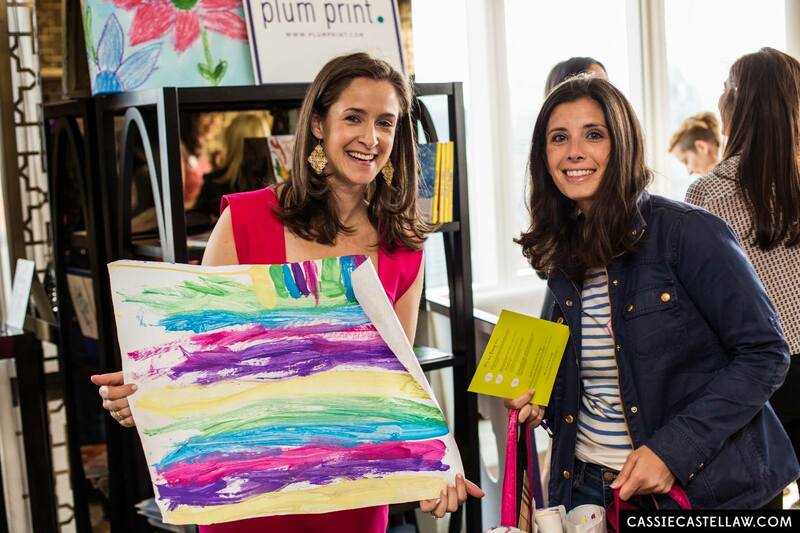 Last week, my daughter and I attended an event hosted by Plum Print. Plum Print offers an amazing service, creating beautiful books using your child’s wonderful creations. Founders Carolyn and Meg, didn’t know what to do with the artwork that was taking over their apartments. With small spaces in mind and trying to figure out how to preserve such precious creations, Plum Print was formed. They take the pieces of artwork and format the book for you. Example books here. At the event, amazing art students (@rloricarto & @sujiparks on Instagram) created sketches and watercolors of my girls. It was a lovely treat and I can’t wait to hang them in my girls room. My daughter was also busy working hard on creating more colorful pieces of artwork to add to her first Plum Print book. 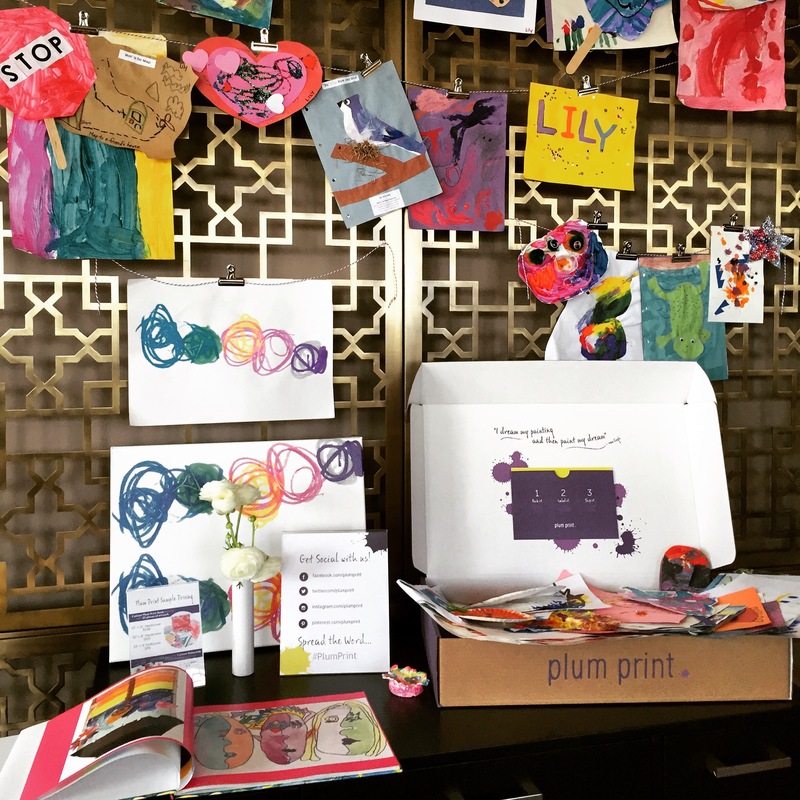 Send Plum Print your favorite pieces of art. You can include paintings, 3D sculptures, journal entries, or anything else your child created and you would like to include. Choose the size of the book you would like. Books start at $85 (pricing). 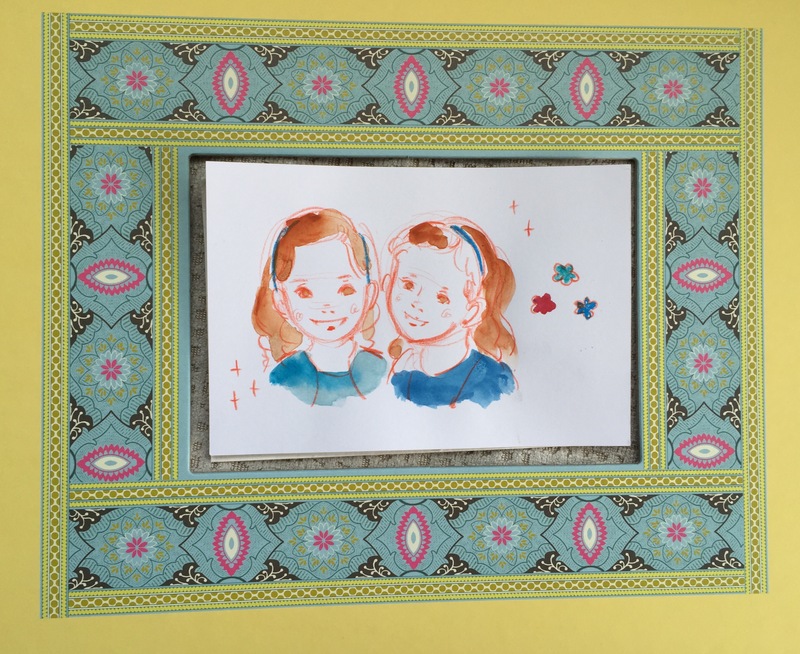 You can customize it by adding your child’s picture and/ or captions to be displayed under the piece of art. Soon canvases and note cards will be available. Once the Plum Print team receives your artwork, they will create your book. Once it is finished, they will send a proof for you to approve. If you like it your book will be shipped. If you don’t, you can let Plum know what pieces you would like changed. During the process you can decide if you would like to send your original artwork back to you or if you would like them to dispose of it. Enjoy your beautiful book for a lifetime. As the school year comes to an end, what a perfect way to say goodbye to the artwork. Plum Print would make the perfect gift for your little graduate. Surprise them or let them help you choose their favorite accomplishments. To get started, I’m excited to share a discount code to use on your purchase. Enter “tastefully” at checkout for 10% off! Click the link to start your Plum Print book. Plum Print also offers a School Partnerships to help raise funds for your school. Learn more here. Disclaimer: I received a book for attending the event. Creativity For Kids Create Your Own Pop-Up Books: These books are so great for sparking imagination and creating your own story. My daughter was studying animals in science and loves learning about them so she made a book about the rainforest. We used the mini book which is ten pages long and comes with mini-markers, stickers, and pop-up accents. Larger books are available in a 2 pack. They come with stickers, 8 markers, pop-up designs, and illustrated instructions with story starters. Creativity For Kids Fashion Headband Set: My girls love accessories, so we spent a lot of our day making them. They tried to put together different designs, some simple and some more elaborate. We used the materials in the kit and added some rhinestone we had lying around. We also used duct tape we had to make valentines bows for our headbands. Creativity For Kids have many great products that are perfect to keep handy for these chilly winter months. Their activity kits are also perfect gifts for holidays and birthdays. Make sure you sign-up for the Creativity Club for access to the craft of the month and other activities you can do with your kids this Winter (or any time). For more information and to see all Creativity for Kids Products visit: http://www.fabercastell.com/creativity-for-kids. Disclaimer: This was an unsponsored post. All opinions expressed are my own. I wanted to share because we are big fans of Creativity For Kids. Happy Memorial Day Weekend! We won’t make it to the beach this weekend but we found an easy alternative for Fun in the Sand at home. My Aunt introduced my girls and I to Kinetic Sand not long ago. Kinetic Sand is easy to mold and build with. It’s fantastic because the grains stick together instead of making a mess all over the place. It’s easy to clean up making it good activity for indoor or outdoor play. The texture is soft, smooth and silky. It doesn’t dry out and it doesn’t stick to your hands. I like to put the sand in a small container for an individual set, easy for taking on the go. Several packages can be put together for more building opportunities. My girls love adding turtles, shells, and using their dolls to pretend they are at the “beach” sunbathing. Perfect for entertaining the little ones during your weekend barbecues. Use your beach toys to play, my girls can’t wait to get their Melissa & Doug Sunny Patch Seaside Sidekicks Sand Cupcake Set out to try with their Kinetic Sand. When you are done playing, put it in an airtight container to keep it fresh. Kinetic Sand is available at Michaels! Disclaimer: I did not receive products or compensation for this post. All images and opinions expressed are my own! I was a little disappointed that we didn’t get much snow today. Don’t get me wrong, I am definitely ready for warmer weather, especially after the brief nice weekend we had. But I’m hoping for one more storm so we can playing in the snow one last time. Our play sessions in the snow during the past storms were cut short because there were no snow days. They had school all day and by the time they got home it was time to get ready for dinner. In our brief sessions in the snow we made snow art, went on mini sledding adventures, made a snow angel here and there, threw snowballs and made a mini snowman family. The mini snowman family was the favorite for my girls, using our snowball maker we made three balls for the body. We did not have carrots or anything else to dress our snowman so we had to get creative. We found an ultimate fuzzy kit that contained eyes, pom poms, and pipe cleaners to use to create our snow family. To all my friends and family in DC getting slammed by Titan, this is a good way to keep busy for a while. Make as many or as little as you want and go back out later for more. Over the weeks as the weather warmed up, we watched our snow family melt away. While we were enjoying the sun and running around last weekend, we came across the pieces to our mini snowman family. My girls were sad they were cleaning up the pieces that were left and wished for more snow to make more snowmen. They have fingers crossed for a storm in March for more fun in the snow. In the mean time I am heading out for white Crayola Model Magic Clay to make an indoor snow family that won’t melt away! Keep a look out on Instagram (Tastefully Childish) for our snow family! Disclaimer: All opinions expressed are my own. I still can’t believe tomorrow is Christmas Eve. The seasons and years fly by. Since there is no school tomorrow and the weather isn’t supposed to be good, crafts are always great for killing time. Back in the fall I attended a PEEPS event. I discovered many great recipes but I was most impressed by their passion to bring families together by using PEEPS for crafting. Happy Last Minute Crafting to Deck the Halls and don’t forget to SNEAK A PEEP! Learn how to cook with PEEPS by clicking the link. Disclaimer: I received samples used for our craft and attending this event. This did not alter my opinions or my ideas. I LOVED this box because it teaches about other parts of the world. The instruction cards for each project also explain the history behind the culture and the traditions. 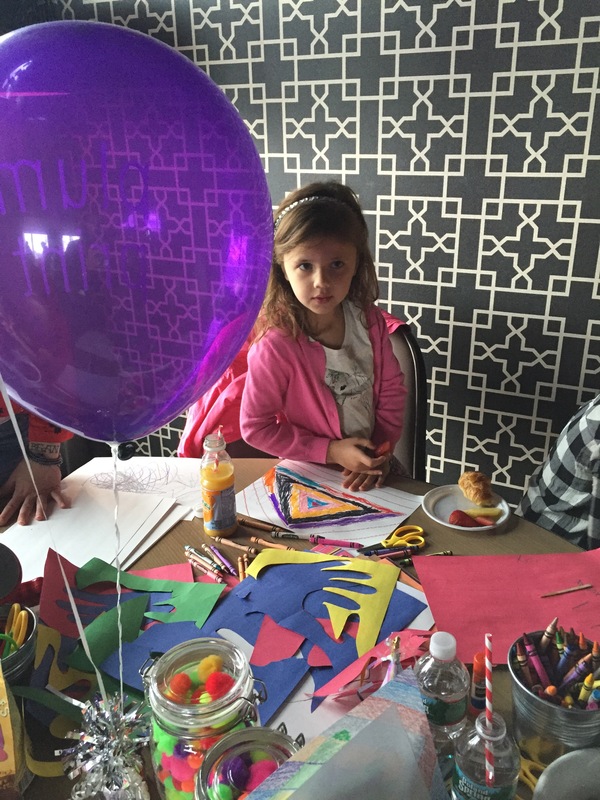 My daughter,5, had a lot of fun making the projects but needed help on the activities. She loved learning about the different cultures. Her best friend was in Australia at the time and was excited to tell her about the rock art when she returned. Her cousin was adopted from Guatemala. She wants to ask him if he ever received a worry doll. After the Chinese hand kite was complete, her and her sister ran around the apartment trying to fly it for luck. A passport is also included in the box. After visiting each county, my daughter was so excited to stamp her passport. This Holiday I will be purchasing the Around the World I which includes projects from Japan, India, and Africa! Check out all the Discovery Boxes available at Green Kid Crafts! Stocking Stuffers, Holiday boxes and Party Favors are also available! Disclaimer: I received a sample discovery box to review. This did not alter my opinions. All opinions expressed are my own. Information in italics is from Green Kid Crafts. My girls have counted down the days until Halloween! Every morning they wake up and ask “are we trick-or-treating today”? My girls are also excited for Christmas and always ask if we can make gingerbread houses with their friends again. Since it’s too early for Christmas decorations and we are in the Halloween spirit, we decided to make Haunted Houses. Head to your local Food Emporium or Target for everything you need! FIll the ziplock bags with the icing. We added a little blue food coloring to one of our icing bags to add a little green. Assemble the house using the graham crackers and the icing to hold it together. Front, back, and roof of the house need a whole graham cracker for each and the sides use 1/2 a graham cracker. If you want an over hang for your house (my youngest did), break a graham cracker in half (long ways) and add it to the roof) My girls needed help putting them together. Have fun decorating with your favorite Halloween Sweets! Disclaimer: I received Peeps Halloween candy from a “Sneak Peep” event I attended for the Holidays (post coming soon). I discovered some of our favorite Halloween books at the Halloween Read-a-long with Thirty Mommy and MBA Moms at the Mysterious Bookshop.